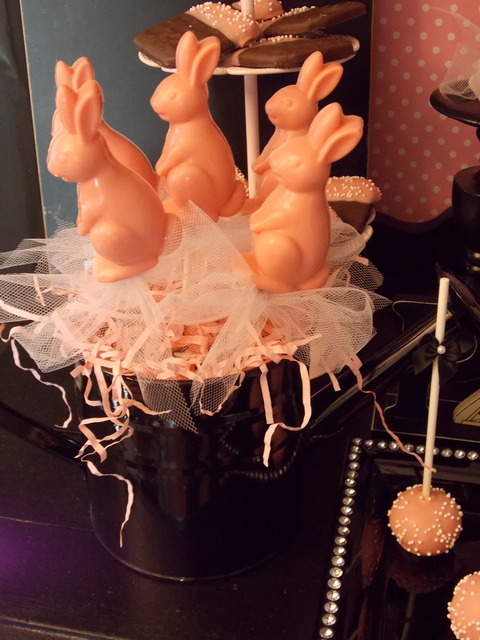 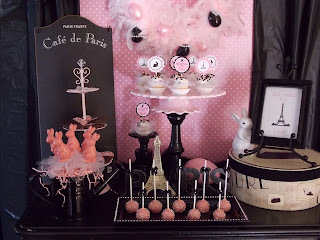 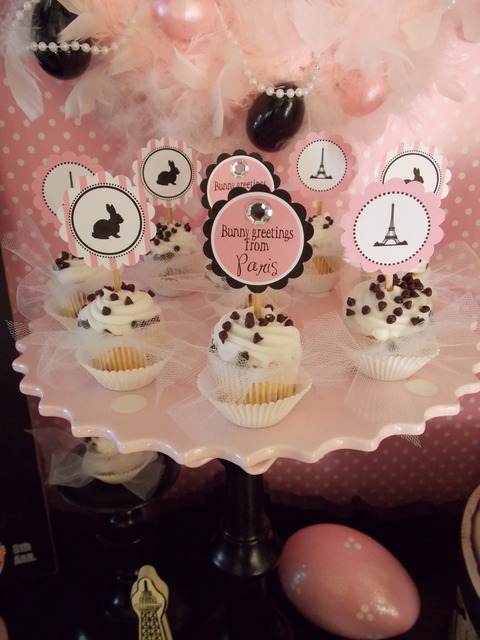 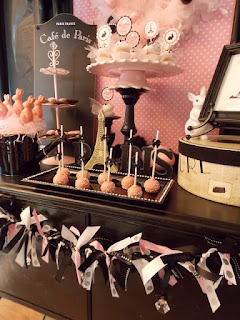 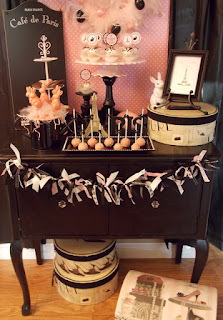 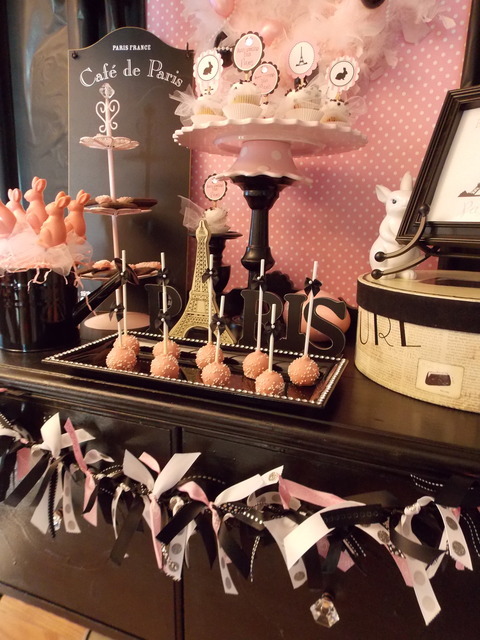 For Easter this year, I created a Paris inspired dessert table. 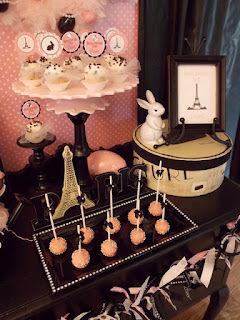 Once I got the theme into my head, the ﻿ideas just started flowing. 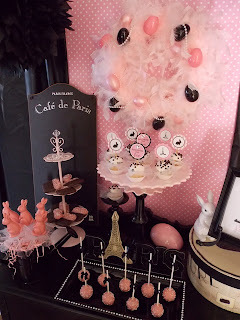 I call it, Bunny greetings from Paris. I love making cupcake toppers! Here's a picture of the toppers I made especially for my theme. I tied tulle around each mini cupcake. 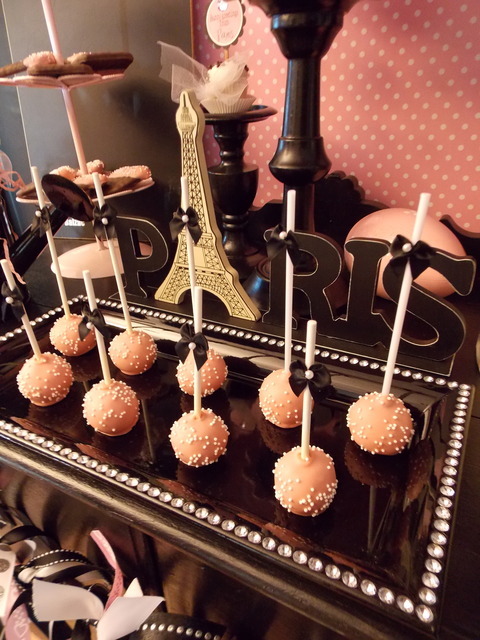 I think they turned out darling! 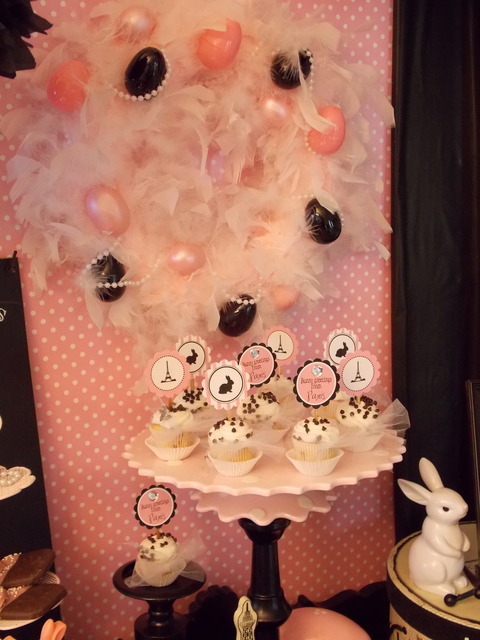 I absolutely loved working with pink & black! 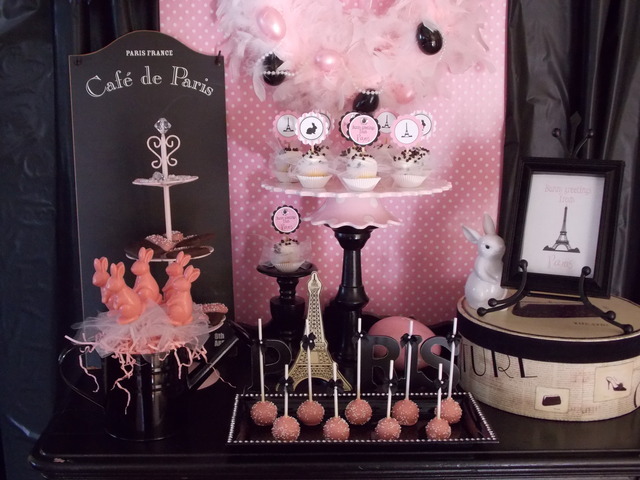 Here's an overview of my dessert table.